Open our French doors to our pool and spa which is south facing, thus receiving sun all day long! There is a child safety screen for the little ones as well as pool railings for ease in getting in and out of the pool/spa. Pool heat is also available at an additional charge. 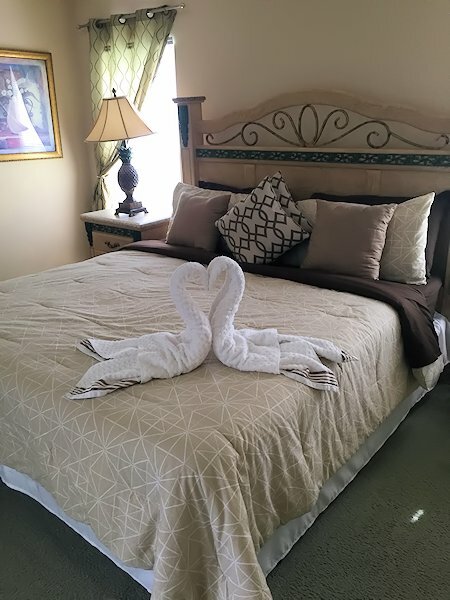 We have 4 comfortable bedrooms and 3 baths; the master bedroom has a king bed with new pillowtop mattress, new bedding and new linens (May 2016), 32 inch flat screen TV and ensuite bathroom; the 2nd bedroom is a queen bedroom with new pillowtop mattress, new bedding and new linens (May 2016), 32 inch flat screen TV with DVD and an ensuite bathroom; bedrooms 3 & 4 have twin beds each with new pillowtop mattresses, new bedding and new linens (May 2016) and a 32 inch flat screen TV with DVD in each bedroom. 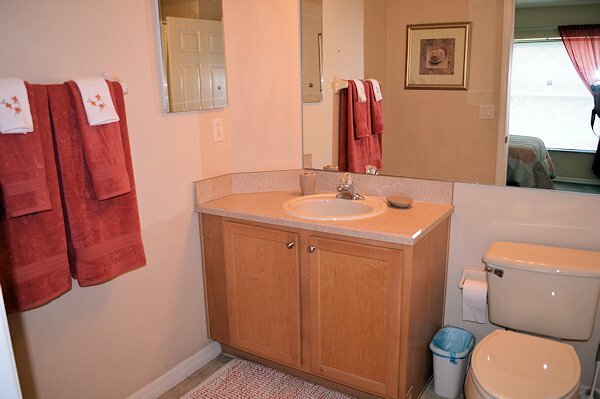 The twin bedrooms share the 3rd bathroom. New flooring has been installed in all bedrooms (December 2016). 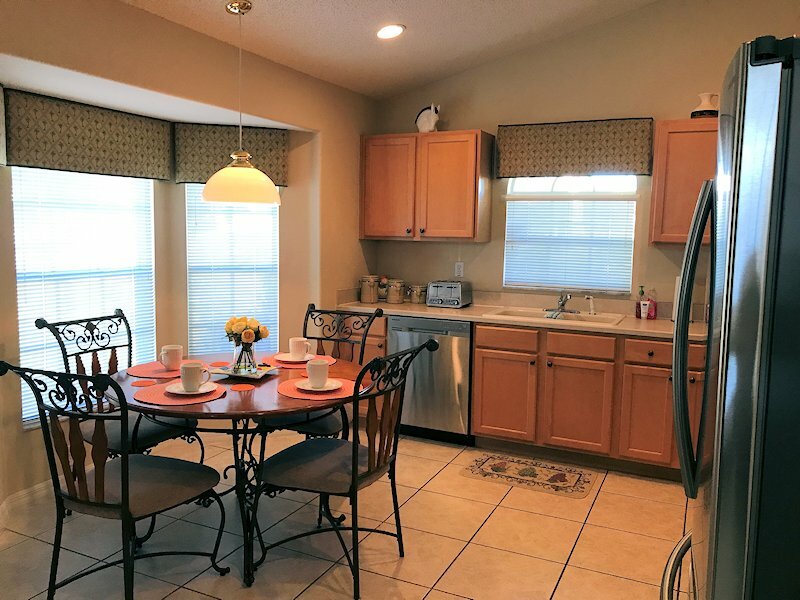 The kitchen fully equipped with brand new stainless steel appliances (purchased December, 2017) including a microwave, refrigerator/freezer, dishwasher and all the comforts of home that you would expect from a luxurious villa. There is also a table and chairs in the kitchen which seats 4 people. The formal dining room nearby seats 8 people for your comfort. There is a washer/dryer as well as an iron and ironing board. Our villa is also equipped with central air conditioning throughout. 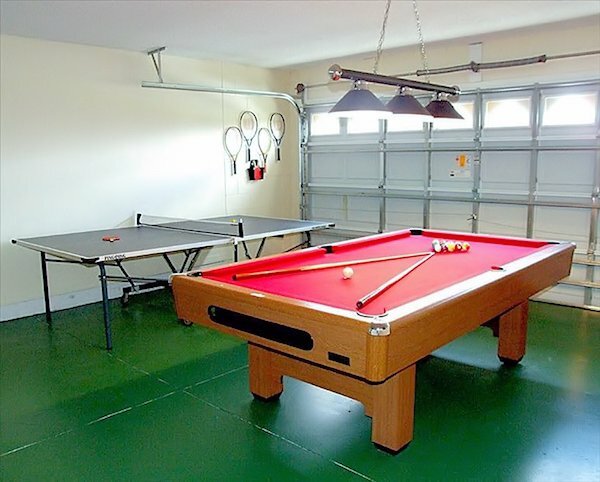 When the children are ready to take a break from the sun, the game room in the garage consists of a pool table, ping pong table as well as tennis rackets and other equipment. Playstation2 with games and DVD player as also available. There are also checkers and a deck of cards for additional gaming fun! In 2017, our villa received a TripAdvisor Certificate of Excellence! "My wife and I just finishing spending a glorious month in Florida. It was even more enjoyable because we were at Villa Osprey in Orange Tree. This wonderful 4 bedroom, 3 bath villa offered all the comforts of home, and then some. 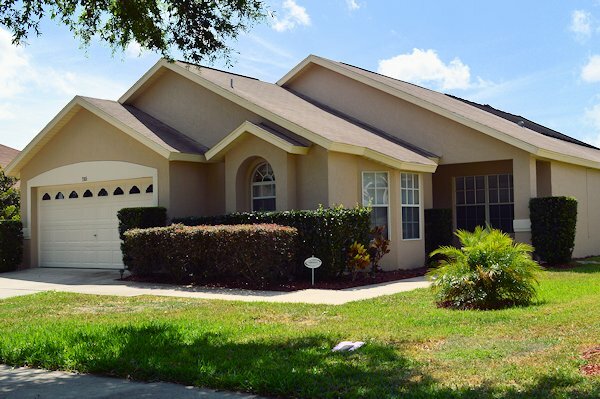 The home is well laid out and is convenient to shopping and all the attractions of Orlando. The owner is very congenial and couldn't be nicer. We liked it so much we wanted to book it for another year but someone beat us to it. You will be a most happy guest here! Highly recommended." If you would like to book this villa, there is a $200 deposit at time of booking. When booking, an 11% sales and tourist tax is added to the price of the villa. Pool heat is an additional charge of $100 per week if desired, however, pool heat is not needed in warmer months. There is a refundable security deposit of $200 at time of booking. For the cancellation policy, please contact the owner. 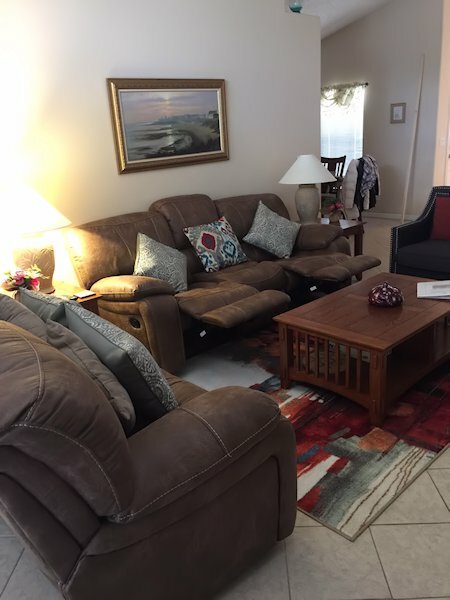 The living area has a new 50 inch flat screen TV with DVD player as well as a reclining couch (Purchased Dec. 2018). There is also a love seat and matching chair for extra seating. 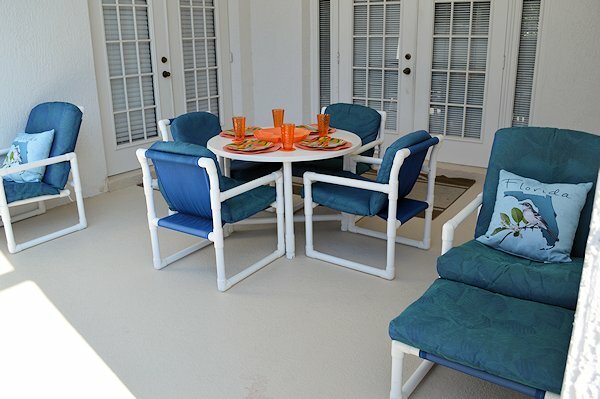 Open the French doors and feel the breeze while entering the covered lanai and pool deck. Spectrum cable is our cable company providing free wi-fi. 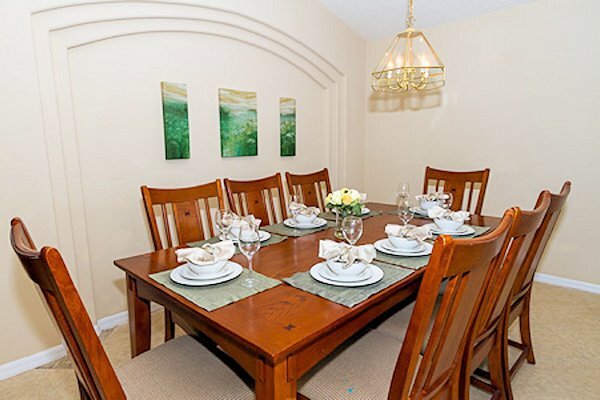 The formal dining area seats 8 people; all dishes, glassware and silverware are included. 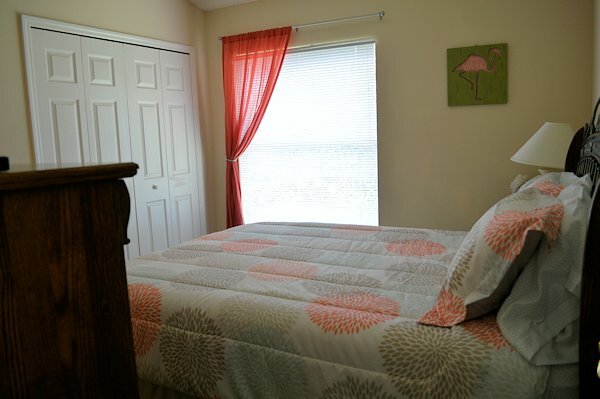 The master bedroom has a brand new pillowtop mattress and box spring (purchased in May 2016) for the king bed as well as a flat screen TV and ensuite bathroom. The 2nd bedroom consists of a queen bed with a brand new pillowtop mattress and box spring (purchased in May 2016) as well as a 32 inch flat screen TV with DVD player and ensuite bathroom. The 3rd and 4th bedrooms consist of twin beds with brand new pillowtop mattresses and 32 inch flat screen TV's with DVD player in each bedroom. All sheets are new! 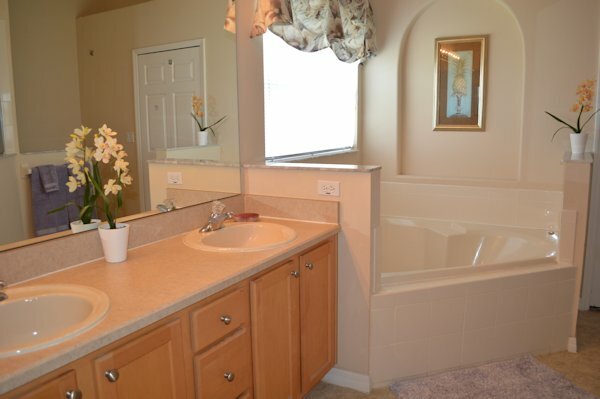 The twin bedrooms share the 3rd bathroom. The ensuite bathrooms consist of a shower and tub as well as brand new linens! All new beautiful hardwood flooring installed in all the bedrooms (December 2016). Open the French doors and enter the pool area which consists of a heated pool and spa. Pool and Spa railings have just been installed in September, 2016. (Gas Pool heat is an additional charge). We also have solar panel pool heating as well which is included free of charge! There are many comfortable lounge chairs for your use as well as a covered area if you want to stay out of the sun! 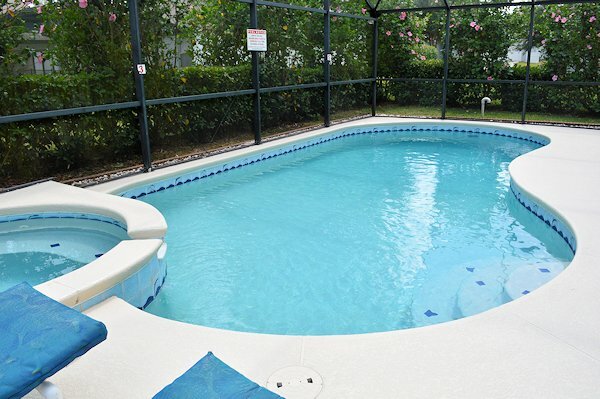 Feel the breeze from the fan which is over the lanai area, and can also be lit for those evening swims! There is a child safety screen installed for your child's safety in mind. The game room in the garage consists of a pool table as well as a ping pong table for your enjoyment and other sports equipment. 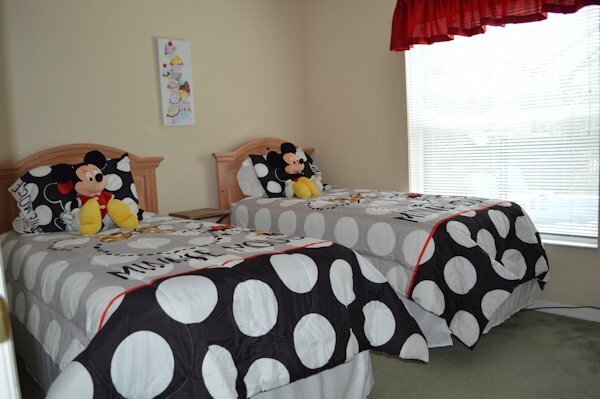 Girls twin Minnie Mouse themed bedroom with brand new mattresses and box springs purchased in May 2016. There is also a brand new 32 inch flat screen TV with DVD player in the bedroom. 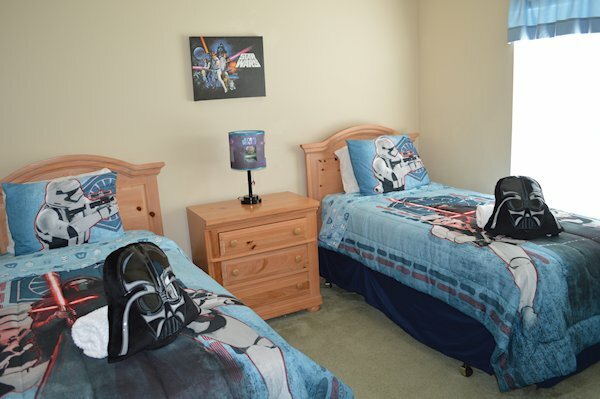 Boys twin Star Wars themed bedroom with brand new mattresses and box springs purchased in May, 2016. There is also a brand new 32 inch flat screen TV with DVD player in the bedroom.